Does your client own a business, practice a profession, or work as an independent contractor? If the answer is "yes", A&M can write one umbrella policy that covers both their personal and business exposures. This one insurance policy gives seamless umbrella coverage for their personal and business exposures. 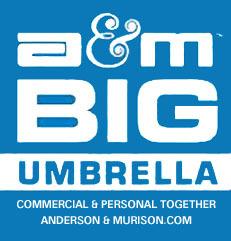 If there is an in-force personal umbrella policy with A&M and you want to add the commercial umbrella to the existing personal umbrella please complete the Commercial Supplemental Application and get a quote now!